On the 22nd of October KSSEE, the Korean Society for the Study of Elementary Education, hosted an international conference in Seoul, South Korea. This year’s conference celebrated the society’s 30th anniversary and was entitled “Future Tasks and Prospects of Elementary Education in the Era of Artificial Intelligence and Information Society”. I had been invited to give a talk about ICT in the Primary Curriculum in the UK. 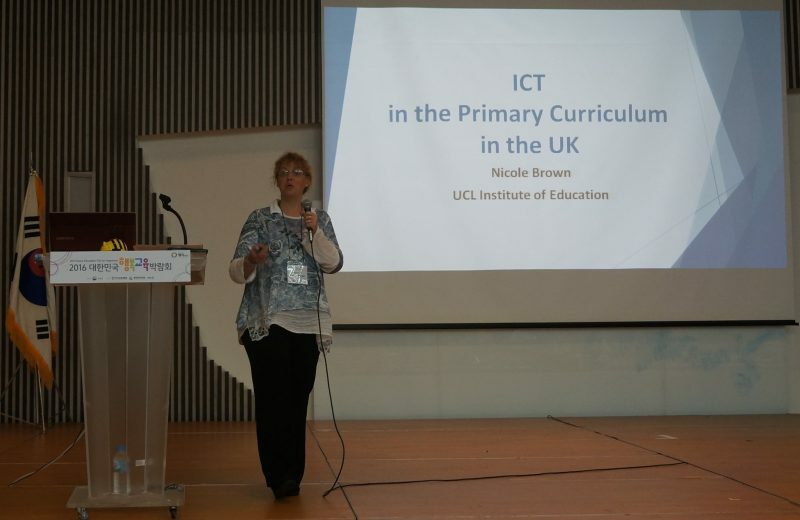 After a brief outline of the historical development of ICT within the UK primary curriculum, I provided some practical examples and then offered insights into the outcomes from my research with teachers. The written presentation was published in the conference proceedings. Download my PowerPoint slides from here. Download my word document version of the published article from here.